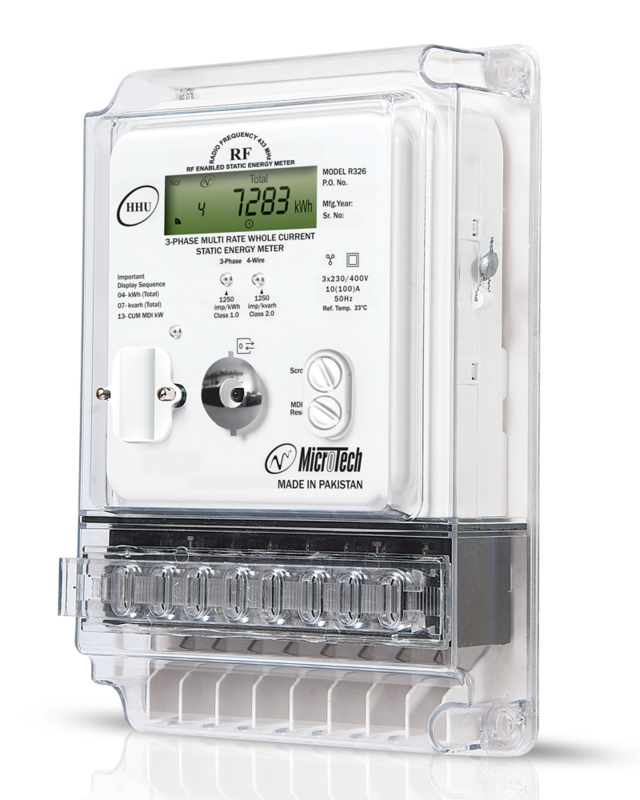 R326 with RF is an advanced static three phase residential and commercial energy meter that has Radio Frequency (RF-433 MHz) communication capability. It's one of a kind product that conforms to various IEC and local utility standards enabling it to be an ideal candidate for a multi-vendor environment. The meter allows automatic downloading of readings through Hand Held Unit (HHU), thus reduces operational cost and offers a transparent and error free system. To resolve energy theft prevalent in local market, R326 with RF is carefully designed with stringent anti-tampering features.